When you compare it to many other online brokers, Motif Investing offers something unique to the market. While many other companies offer individual investments, they group different assets together into what they call “motifs.” In this sense, they offer a very unique style of investing. But what reason would people have to consider using this company as part of their long-term investing plan? Because the assets are grouped together into one single investment, it can be a great way to build a portfolio quickly – one that can keep performing over the long term. Many of them are organized by industry, but they might be grouped based on other performance criteria. Each motif costs $9.95, which is cheaper than what you will find anywhere else. When I first started looking at this company, my first reaction is that they were like mutual funds – even though they were not. This might be advantageous to some people who don’t have money to pay for the fees that come with most of them. The reason why mutual funds have fees is because they are managed by someone else, but they may not always perform. Motifs don’t have any management fees attached to them because there are no managers (other than you, of course). In addition to buying groups of stocks for $9.95 a piece, you can also balance those groups according to your own specifications. In fact, the site will give you the performance history of each motif before you decide to buy it, and you can look at the comments that other members have left to see what they think about it. All these are great ways to make a decision about whether or not that particular motif is worth investing in. If you have more knowledge about the market, or about a specific industry, you have the option to build your own motifs, and you can share them with other members. You can even earn a commission if someone decides to invest in it. This can be another way of earning money, in addition to the money you can make on other motifs in which you have invested. Because of the nature of this type of investing, it can be very beneficial for someone who is new to the market, as it can help him or her build a long-term portfolio with a very small upfront investment. And more than that, they don’t make it difficult to understand what can seem like complicated concepts that only a few people might be able to understand. Having the ability to buy groups of stocks for such a cheap price is unheard of in the industry, so there is a lot to be said about this type of investing. While it may seem like a radical concept to more established investors, it might be a breath of fresh air for someone who is just getting started. When you look at everything this company has to offer, it’s clear that it has everything a new investor would want. It’s simplistic system, user-friendly interface, and cheap price tag makes it easy for anyone to get started. 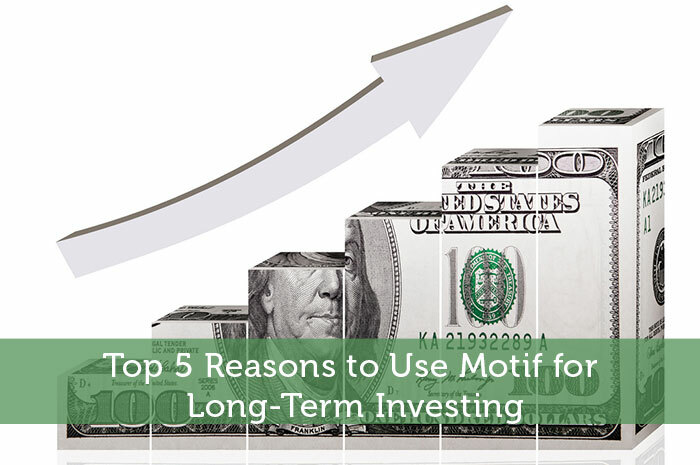 More than that, Motif Investing makes it easy to build a long-term portfolio that can keep performing for years to come. So, you can benefit greatly from what this company has to offer – whether you’re a newbie just coming into the market, or a seasoned investor who knows the ins and outs of stock trading.